Superior performance, exquisite style, and cutting-edge technology are what you expect from Mercedes-Benz. For as long as you drive your vehicle, our commitment to you continues with world-class Mercedes-Benz service, parts, and accessories. We have a team of qualified service technicians standing by to help you with any of your service related needs, including Mercedes-Benz Service A and Service B. From tire rotations and brake pad issues to shaking steering wheel diagnosis and car battery replacements, we’ve got trained technicians who are able to help. We want you to turn heads on Rye roads in your luxury car for years to come, so it’s our goal to provide the best possible automotive service for a fair price. Our rotating Mercedes-Benz service specials are always available so you can get your car back on the Stamford roads as soon as possible without over-stretching your budget. 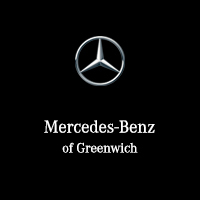 If you’re searching for Mercedes-Benz maintenance in the New Canaan area, we hope you trust our experienced technicians for the job. Please use the buttons below to schedule service at our dealership or contact our Service Department. You can also call us at (866) 285-4034.